World Bank President Jim Young Kim has said reforms initiated by Prime Minister Narendra Modi have had a huge impact on the way world looks at India and praised the progress made in \'Swachh Bharat\' campaign and \'Clean Ganga\' programme. 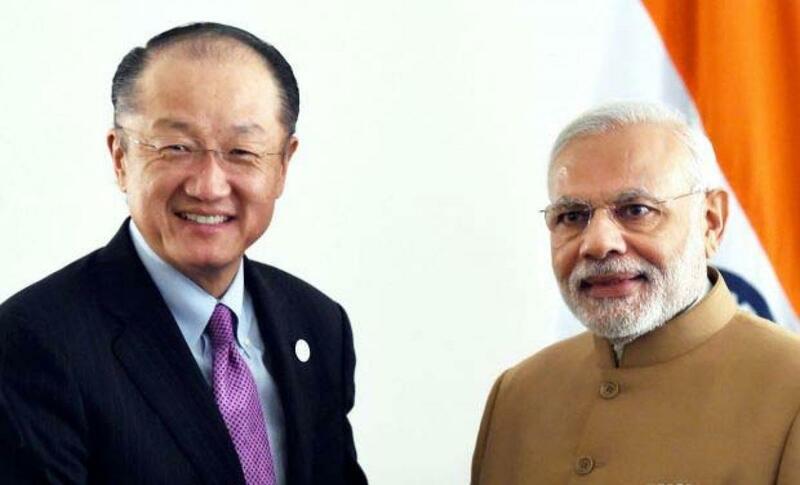 World Bank President Jim Young Kim has said reforms initiated by Prime Minister Narendra Modi have had a huge impact on the way world looks at India and praised the progress made in 'Swachh Bharat' campaign and 'Clean Ganga' programme. During a meeting with Modi on the sidelines of the ongoing UN General Assembly session, the World Bank President praised the progress made in 'Swachh Bharat' and 'Clean Ganga' programme where the World Bank is an important partner, External Affairs Ministry spokesperson Vikas Swarup said. "He (Jim Young Kim) said that the Prime Minister's reforms has had a huge impact on the way in which the world looks at India," Swarup said. Kim acknowledged that what was happening in India was actually very different from what had actually happened in different countries. "He maintained that the World Bank wanted to be a strong partner as India moved forward on these targets," Swarup said. The Prime Minister spoke on the progress made on the thousands of toilets that has been constructed, and also on the international technology that is being sought now on the 'Clean Ganga' program, on his ambitious programs for 175 gigawatts of renewable energy, Swarup said. The two leaders also discussed on the governance structure of the World Bank. "The Prime Minister said that he has always supported strengthening of global governance and reform of the institutions of global governance. But it is a fact also that a country like India was not represented in these structures. So this needed to change," Swarup said. The World Bank President enquired about India's position on climate change and then the Prime Minister gave him a lengthy explanation, he added. 'Swachh Bharat' campaign was launched on October 2 last year to cover 4041 statutory towns, to clean the streets, roads and infrastructure of the country. 'Clean Ganga' programme was launched for rejuvenating and making the river Ganga pollution-free.